We’re quickly approaching zero hour as NVIDIA readies its fleet of next generation GeForce GTX 20 series graphics cards for a worldwide debut later this month. The naming convention of the company’s new GeForce series hasn’t been confirmed yet, but a recent leak indicates that we’re likely looking at the GTX 2080, 2070 and 2060. So, we’ll refer to the new family as the 20 series for the time being for convenience. With that being said a bunch of interesting tidbits and a fascinating rumor about the new cards have also surfaced over the past couple of days, courtesy of Videocardz. Let’s start off with the most interesting tidbit, that is NVIDIA is said to actually be building a dual fan, open air cooled, GeForce GTX 2080 Founder’s Edition graphics card. This rumor comes from BenchLife, which leads is to lend credence given the source’s solid track record. This would mark the first time NVIDIA would employ an open air cooling design in any of its Founder’s Edition graphics cards. 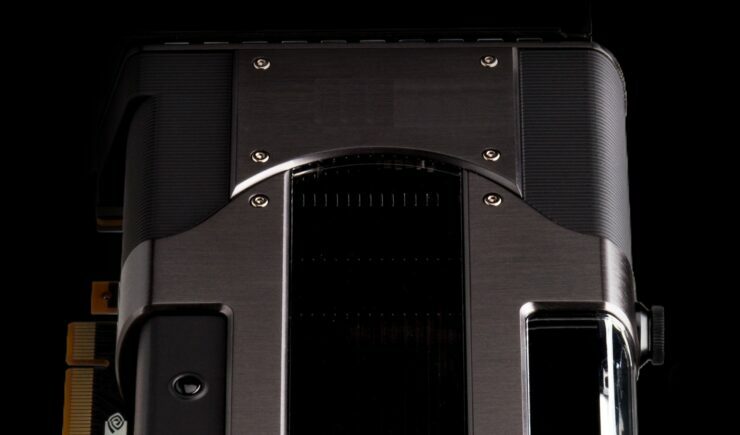 It could indicate that the new 20 series flagship might have a little more of an appetite for power than the GTX 1080 Ti , requiring a more aggressive cooling solution to keep running nice and cool. Alternatively, NVIDIA may just be looking to offer a Founder’s Edition product that can compete directly with its add-in-board partners’ custom cooled designs. Whatever the case may be, be prepared to pay for the added luxury of an open air cooler if this comes to fruition. Next up we have a statement from Galax, this one is not a rumor folks it’s as official as it gets. A company rep confirmed that we will see the new series by September and described the new series as having “breakthrough” performance, so get ready for something quite special. “The release time of the next-generation NVIDIA graphics card will not be far away. Players will be able to see the information about the new graphics card in September. The performance will certainly have a breakthrough growth, and will support the most advanced NVIDIA ray tracing technology. Game player is a good news! We’ve also come across a bunch of crazy rumors about pricing and specifications floating out there, but they smelled funny to put it lightly so we’re not reporting on any of them. Although with the release of the new series approaching quickly, information about pricing, performance and specifications is bound to surface. Stay tuned folks, things are about to get really exciting.